Ludhiana is a popular city in the Indian State of Punjab. There are are lot of places to visit in and near Ludhiana. 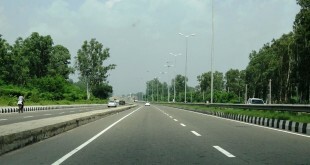 Reaching Ludhiana by road can take around 5 to 7 hours depending upon the route you take. Other factors like traffic can also add to the time. By now you must be wondering how to reach Ludhiana by Road. Well, this article will describe all the road routes from Delhi to Ludhiana and you will also know about the best route according to us. After reading the complete post, You will be able to choose from the road routes and can select the one that suits you the most. This route is best suited for people who stay in and around the areas of Kirti Nagar, Rajouri Garden, Janakpuri, Tilak Nagar, Paschim Vihar, Punjabi Bagh etc. Though it passes through the small towns like Rohad, Sampla & Dobh but it saves a lot of time by not entering the other parts of Delhi. 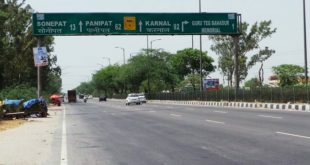 This route is also suited for people who stay in and around the areas of Kirti Nagar, Rajouri Garden, Janakpuri, Tilak Nagar, Paschim Vihar, Punjabi Bagh etc. People who want to pass by the towns and cities of Haryana like Hansi, Boha and Hisar can take this route. This route is best suited for people who stay in and around the areas of Ghaziabad & Noida. People from Meerut can continue on this route as they can connect to this route directly to Karnal Via Budhana & Shamli. This route is best suited for people who stay in and around the areas of Pitampura, Rohini, Shalimar Bagh and Alipur. People who want to pass through Karnal & Kurukshetra can take this route. 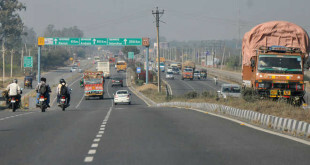 This is undoubtedly the most used, the shortest and best route to reach Ludhiana from Delhi. Hope you liked to know about all the Road Routes from Delhi to Ludhiana and also the Best Road Route from Delhi to Ludhiana. If you have any doubts or questions, you may leave your comments below. Your blogs are really amazing. This is the second blog which i read yours. Hope you are putting a huge amount of effort to write such a great blogs .. Thank you very much for your informative blog..